Please note that two of the coins do not have 20th Anniversary on the label. 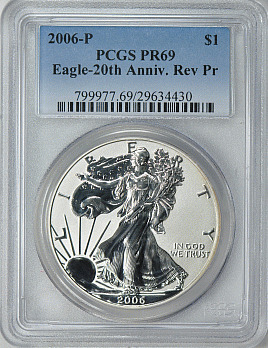 Includes 2006-W PCGS Proof-69 DCAM, 2006-P Reverse Proof PCGS Proof-69 and 2006-W PCGS MS-69. Description: Please note that two of the coins do not have 20th Anniversary on the label.